Do you enjoy studying or translating the Chinese language? In fact, a career in translation can be frustrating for the unprepared, so it's important to first understand some of the key challenges you will face. Translation is a very important part of doing business around the world. This is especially true in countries like China, where very few foreigners possess anything approaching business proficiency in the local language. Translators therefore serve as intermediaries between people, companies, and governments. They are in many ways the lubricant that allows international business communication to flow smoothly. 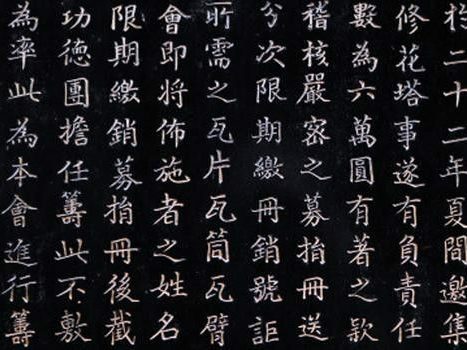 The Chinese language is now being studied by an increasing number of non-native speakers from all over the world. For those with a passion for languages, translation may seem like an obvious career choice, especially as China boasts a fascinating history and culture, which are reflected in the language. However, translation is not for everyone. Based on my own experience with the translation process and conversations with translators (Chinese natives and foreigners), I have prepared a list of reasons why foreigners pursuing a career in China might want to think twice about the translation profession. Quantity over quality: A translator’s work is almost always billed by the number of words, not the quality of the final translation. In this type of work environment, the “best” translators are those who translate as many documents as possible, while focusing just enough on quality to satisfy clients. If a translator wants to spend extra time on a translation to ensure the highest possible quality, it will likely be on their own dime. Factories, not experts: Despite high language levels and cross cultural knowledge, translators are often not viewed as cross-cultural and language experts, but merely as cogs in a machine. This lack of understanding often leads clients to incorrectly think that all translation assignments are the same and can easily be completed at the last minute. If a young professional is looking to be eventually viewed as an expert or valued consultant, translation may be the wrong profession to get into. A lack of trust: A good deal of research and thought goes into a quality translation. However, changes are often made, sometimes arbitrarily, by clients with a less than perfect (sometimes severely lacking) understanding of the source text or target language. It is also common for clients who are non-native speakers to insist that they know better than a translator translating into their native language. For dedicated translators who care about their work, this can cause a great deal of frustration. Just the first step: For many types of content, including articles and advertisements, it’s important to remember that translation is just the first step. There are a number of other professionals that will work on a given piece of content after translation takes place. They include editors, proofreaders, copy editors, and others. Therefore, remember that a strong working knowledge of the Chinese language can add value at later stages of the process, and contribute to higher quality deliverables. For perfectionists and those who care a lot about their work, it’s important to understand that translation is only the beginning of the process, and that translated documents will almost certainly go through many changes after the fact. Machine replacements are on the way: It is currently far from certain that machine-based translation will actually make significant inroads into replacing human translators, especially for translating between complex languages such as English and Chinese. However, the risk does exist, especially as many clients view translation as simply taking a language from A to point B. In light of this, job security may turn into a serious issue, grounding promising careers before they get off the ground. No matter whether you end up choosing a career in translation or not, I think that first and foremost it is vital to understand your own expectations and the likely work environment you will face. Only then can make an informed decision. For young Western and non-Chinese talent with a passion for the Chinese language, while translation is certainly a valid method of doing what you love, it is by no means the only way. By raising the above issues, I do not intend to suggest that the translation is not a profession worth getting into. However, to ensure a promising career in China, it’s critical for foreign talent to think long and hard about what path is best for them, not just for right now, but for the future as well. Do you have any questions on being a translator in China? Would you like to list out your own PROs or CONs for being a translator? Please feel free to post your thoughts in the comments section below. Hi Sean, great article! Computer algorithms are definitely making significant inroads into replacing their human counterparts in virtually every endeavor. Just when we think computers can’t do “that” they up the ante and prove us wrong. At the highest level there will always be a part for humans to play and the key to success is harnessing the power of technology to help us reach our goals. One thing I don’t think computers will be able to match anytime soon is the ability to judge meaning and intent in the source language, and accurately convey it in the target language, especially when the two languages have such different way s of expressing ideas, like with Chinese and English. Previous Entry Don’t Let Assumptions Define Your China Experience!